Caroline Issa attends the Christian Dior show as part of the Paris Fashion Week Womenswear Spring/Summer 2019 on September 24, 2018 in Paris, France. Caroline Issa toughened up her look with a pair of studded combat boots. 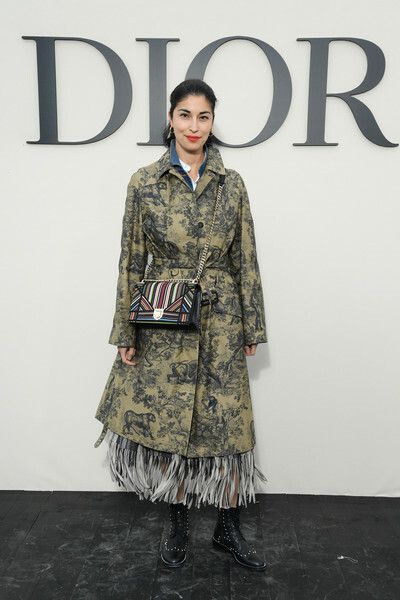 Caroline Issa arrived for the Dior Spring 2019 show wearing a printed tan coat from the label. Caroline Issa injected some color with a striped shoulder bag by Dior.